15 Days Til GABF 2012: I need your suggestions! If you’ve ever been to the Great American Beer Festival, you know it can be a bit overwhelming. Four hours isn’t nearly enough time to sample 2,500 beers. 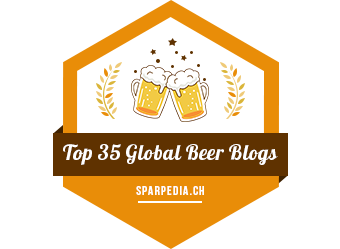 Last year I spent almost an entire day planning…which breweries do I want to try? And then, which specific beers? 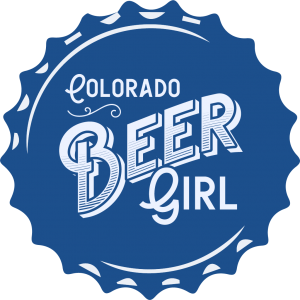 So, before this year’s festival, I’d like to hear from you: which beers do you recommend? One thing I’d like to hear about are East Coast breweries, as we don’t get much of those out here. Or if there is a small brewery (regardless of location) that doesn’t bottle, distribute, etc. who has something excellent, I’d like to know. My favorites are IPAs and stouts, but I’m up for trying something different. I will say that I’m not a fan of Belgians so if you suggest one I probably won’t try it; I’ve sampled numerous Belgians over the years and have yet to find one acceptable to my palate. I don’t have a huge following yet (I’m working on it! ), so feel free to give me as many ideas as you want–I welcome your thoughts! Thank you! Next Post Happy National Drink a Beer Day! Thanks, Jules! I just returned from the midwest and everyone was raving about Three Floyds but I wasn’t able to get it where I was. However, they ARE on the list this year for GABF! (listed under Three, not 3). I’m excited to try them out! And I appreciate your other suggestions too…I’ll certainly put them on my list! I’m not sure if either of these will be at GABF but I would definitely seek out Dry Dock and 3 Barrels. Both Colorado breweries and both amazing. I will be at the Thursday evening and Saturday evening sessions. Hope to see you there! I’ve been to about 6 GABF’s and some of my eastern favorites (east of the Mississippi anyway) include Brooklyn Brewery, Brewery Ommegang, Short’s Brewery, Bell’s Brewery, Founders, New Glarus, Jolly Pumpkin, Victory Brewing, Sun King Brewery, Three Floyds, Cigar City. I could go on. I tend to seek out imperial stouts, sours, barrel aged beers and the strange and unusual beers. I save the IPAs for the end as they tend to wipe out my taste buds real quick. Be sure to bring along some pretzels or something to cleanse your palate. I haven’t had most of those, so I’ll look for ’em! Thanks! 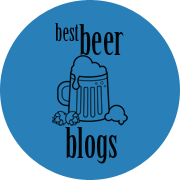 My favorite Midwestern breweries (and beers) are Three Floyds (Zombie Dust, Dreadnaught), Surly (Furious), Haymarket (Mathias, Indignant), Central Waters (Satin Solstice), Founders (Breakfast Stout), Bells (Oracle, Hopslam, Hell Hath No Fury), Great Lakes (Blackout Stout, Burning River), and Dark Horse (Double Crooked Tree, Scotty Karate). Most of those are available year round, and should be at GABF. And almost all of them are stouts and IPAs, with two exceptions. Scotty Karate is a Scotch Ale. And Hell Hath No Fury has a blend of Belgian yeasts, but the final product has much more in common with a stout than a dubbel. And it is awesome. If you decide to break out and try something that is probably, technically, a Belgian, that is the one. On a side note, there are a few small batch beers that are less likely to come your way, but if you see them, you must drink them. Three Floyds – Dark Lord and/or Apocalypse Cow. Bell’s – Black Note. Founders – KBS. Goose Island – Bourbon County. Nice! It’s good to hear from you since you are familiar with Midwest breweries! Thank you! If you like sour beers, check out DESTIHL out of Normal, IL. I remember their sours being just fantastic last year. Since then, I have heard them interviewed on a couple of podcasts. Also, a Colorado brewery I am seeking out is Crooked Stave Artisan Beer Project. I’ve heard great things (although I am ashamed to say that I have not stopped by their tasting room). Really? My wife and I went to college in Peoria. She also worked in Normal between the time we graduated and got married. Yep. Born in Decatur. Had friends who went to ISU but I attended EIU and transferred to SIU Carbondale. I was just back in the area for a family wedding. My brother thought ahead and drove about an hour to pick up about 5 cases of Modus Hoperandi for us to enjoy! Thanks, Bruce! I plan on attending a special Cigar City night at Star Bar next Wednesday, so I look forward to that.